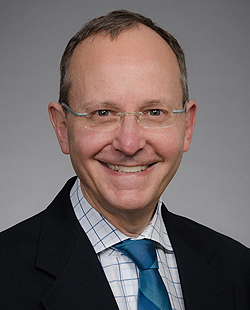 NIH recently awarded to a team of University of Washington investigators led by Jeffrey G. Jarvik, MD, MPH, Professor of Radiology, a 5-year, $3.75 million grant to establish a Core Center for Clinical Research (CCCR) to promote musculoskeletal clinical research. The CCCR will catalyze high-quality, multi-institutional collaborations by improving methods for conducting clinical musculoskeletal studies and by providing analysis-ready data for scientific investigators. The Methodology Core, led by Patrick J. Heagerty PhD, Chair of the Department of Biostatistics, and Sean Mooney PhD, Professor of Biomedical Informatics and Chief Research Information Officer, will focus on novel approaches for the design and conduct of clinical research including pragmatic/effectiveness trials and innovative strategies for transforming clinical data found in electronic medical records (EMRs) to be research-ready using contemporary approaches such as machine learning or deep learning. The Resource Core, led by Janna Friedly MD, Associate Professor of Rehabilitation Medicine, and Danielle Lavallee PharmD PhD, Research Associate Professor of Surgery, will provide to investigators access to musculoskeletal research databases that UW scientists and collaborators have worked on for over a decade. Kathryn James PA, MPH will serve as Executive Administrator of the Center. Dr. Jarvik notes that “…the UW-CCCR represents an important collaboration between multiple departments, schools and institutions, all sharing the common goal of promoting new approaches to collecting and analyzing data to address some of the most common and disabling clinical conditions.” Common musculoskeletal disorders require coordinated effort from care teams linking rehabilitation medicine, radiology, pain medicine, and physical therapy. This initiative will support diverse research collaborations with expertise in biostatistics, medical informatics, health services research and epidemiology with the goal of advancing evidence on effective diagnostic and treatment strategies for musculoskeletal conditions. Other partners in the CCCR include Kaiser Permanente, Northern California and the American College of Radiology’s Neiman Institute.